James Galdolfini will always be known as Tony Soprano from the HBO series The Sopranos. Even though he was an actor before and after the series, it was the character of Tony that earned him worldwide acclaim. He passed away this year, and sadly Enough Said is one of his last efforts as an actor. The story revolves around Eva (Julia Louis-Dreyfus). She is a middle-aged woman who is about to become an empty-nester. She works as a non-respected masseuse and is always looking for more clients. At a party, she meets both Marianne (Catherine Keener) and Albert (James Gandolfini) although not at the same time. Marianne is looking for someone to massage her and Albert finds Eva interesting. The next day Eva gets a call — Albert wants to take her out on a date. At the same time, Marianne contacts Eva for a massage. As Eva starts to work on Marianne, the two become friends. Marianne is a lonely poet and writer, a deep soul who despises her ex-husband. All she does is downgrade the man, telling Eva all his faults and irritations. Marianne never felt understood by her husband and they had zero in common. Eva goes out with Albert and finds him gruff but somehow charming. He is about to become an empty-nester himself and is not sure what to do when his daughter goes off to college. Talking about his wife, he reveals that she is just a woman with a different set of values. The date goes well and the two have a good time, enjoying each others company. Very soon, Eva puts two and two together and figures out that Marianne and Albert were once husband and wife. Instead of confessing to both parties about the situation, Eva probes Marianne to find out what is wrong with Albert. The more she sees Albert through another’s eyes, the more she questions what she finds attractive about the man. Eva confronts Albert on all his faults, making Albert feel as if he is dating his ex-wife. The entire mess gets more complicated with the children in the adults lives. Enough Said builds to its inevitable climax that could have been avoided by a tad bit of honesty. In watching this film, the question arises: Why isn’t Julia Louis-Dreyfus one of the biggest stars on the planet? She oozes with charm in the role of Eva. It is a performance that combines comedy and drama and she both it with graceful ease. She just glows on the screen and has chemistry with every member of the cast. 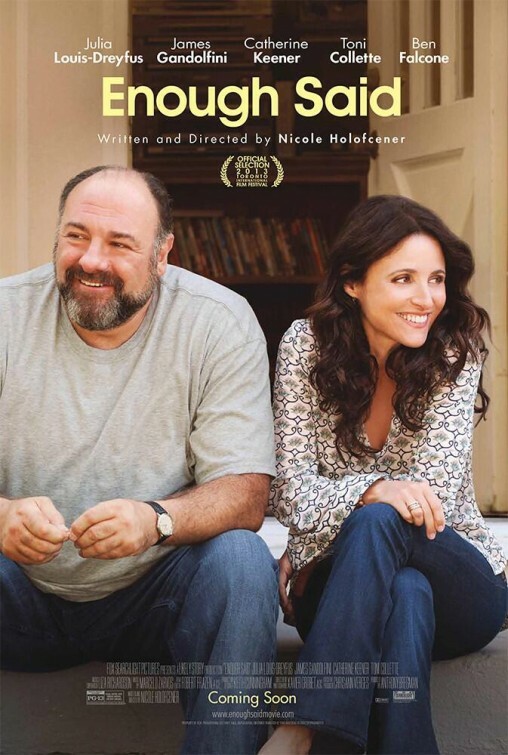 It is tough to see James Gandolfini for one of his final performances on the big screen. The actor has a certain rough quality to his acting that is endearing. 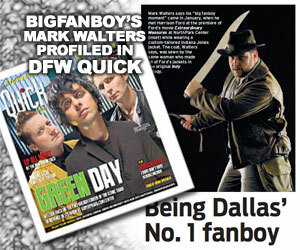 One believes that he is just another guy trying to get along in the world that seems to have passed him by. He becomes another lost soul where everyone can relate. Katherine Keener never turns in a dull performance. Here, as the put upon ex-wife, one feels that she is oblivious to her own faults in the dissolution of her marriage. She is clueless in her own misery, never realizing that it may be a character fault in her own existence that generates her lonely existence. Writer/director Nicole Holofcener has an incredible cast with Enough Said but fails to execute something that feels like more than sit-com situations. Where she could have truly delved into the pathos of love the second time around, she goes for some fairly tame jokes and conclusions. In what could have been a true examination of finding love again, she just brushes softly against the surface, never digging into the meat of the situation. Some might feel it is more of a wasted opportunity. Enough Said is a second chance romantic comedy that is much sweeter than one would expect. It has more heart than gut laughs. It becomes a slow winding path to a conclusion one knows almost from the first frame, and in many ways it is more of a charming diversion than a serious motion picture.